The 21st Beer & Pretzels Games Weekend 2010 is 15th and 16th May at the Town Hall, Burton on Trent. Open 10.00 – 10.00 on Saturday, 10.00 – 7.00 on Sunday. Tickets Â£4 per day or Â£7 for both, available on the door or in advance from Spirit Games. Less than 24 hours left on my latest sale of games and there are plenty of bargains still to be had. For instance, no bidders yet on Die Goldene Stadt or Formidable Foes, Cartagena 2 and a couple of classics I was sure would attract some interest: Schoko & Co and the best version of Sid Sackson’s Bazaar i.e. Bier Borse. Finally, somebody’s got to want Ta Yu, the beautiful original version of the abstract path-building game. The list is here. 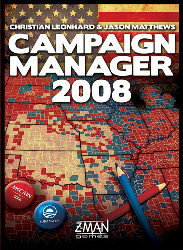 I’ve just added the 999th and 1,000th game to the Trickylight games database. 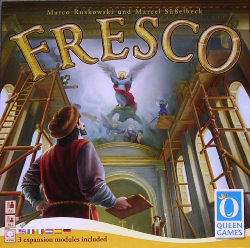 Following a trip to Gameslore, I picked up the two new Queen games – Samarkand:Routes to Riches and Fresco. I’m hoping to try both in the next week. Although the database contains 1,000 games, I still don’t own 1,000 and I’m not sure I would want to. If my BGG profile is up-to-date (and it should be pretty close), I actually have 813 – the remaining 187 are, therefore, games I’ve previously owned and games I don’t own that have been played at the Shrewsbury Boardgames Club. I’ve just put nearly 40 games up for sale on Ebay, with auctions due to finish on Thursday 29th April. Highlights include original Warfrog edition of Struggle of Empires, original R&D Games edition of Reef Encounter, Graenaland by Czech Games, Friedemann Friese’s Formidable Foes and Michael Schacht’s Die Goldene Stadt. The new English language edition of Spielbox arrived today and it looks terrific. Even the adverts are translated. Now it is still not perfect English as would be written by a native but it is close enough and a fantastic effort given the amount of content that has been adapted. I am so grateful that the editorial team have done this, even though I did manage to struggle my way through the German previously. I encourage everyone to at least try it and subscribe if, like me, you think it is well worth supporting a professionally produced magazine on our hobby. Its 64 pages is packed with interviews on the likes of Endeavor, Vasco de Gama, Atlantis and Last Train to Wensleydale but also has a great article on Amigo’s 30th anniversary, a free space themed race game from Christof Tisch as well as a Dominion play-aid. Three months to go means I’ve now got to average 21 games a month coming off the list. Futile? Probably but we’ll see how close we can get.